If you like a patio pot brimming with pretty flowers then you’re going to love the Marguerite Grandaisy Pink. 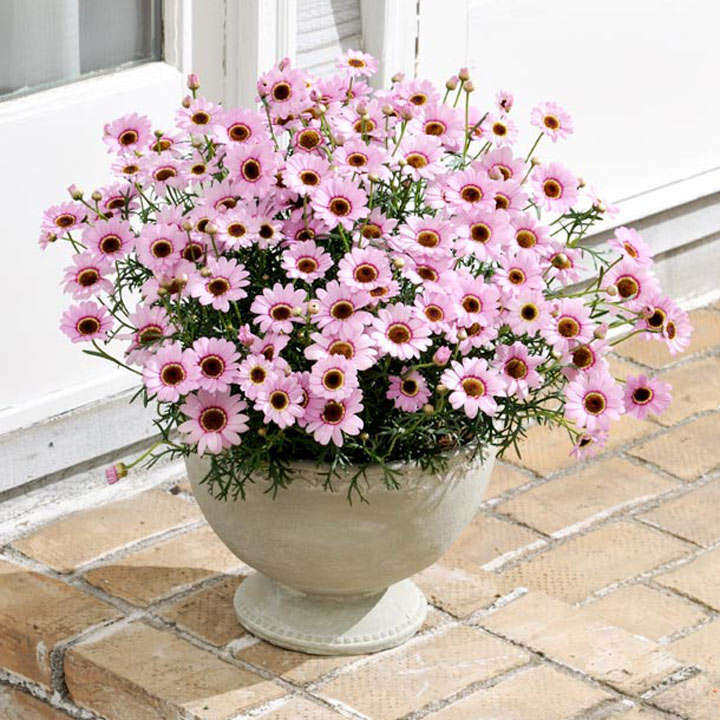 The biggest flowering Marguerite is compact enough to flourish in a pot yet produces dozens of gorgeous flowers for nearly six months of the year. It’s wide-branching too, and it looks fantastic in a display combined with other colours or by itself in all its glory. Flowers June-October. Height 40-50cm (16-20"); spread 40-50cm (16-20"). Supplied in a 2 litre pot. 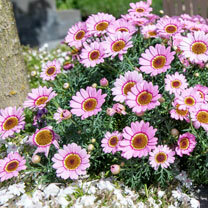 The Marguerite’s easy to care for, and if you let it work its magic it’ll flower for most of the year. That means you can look forward to a colourful patio display well into autumn. 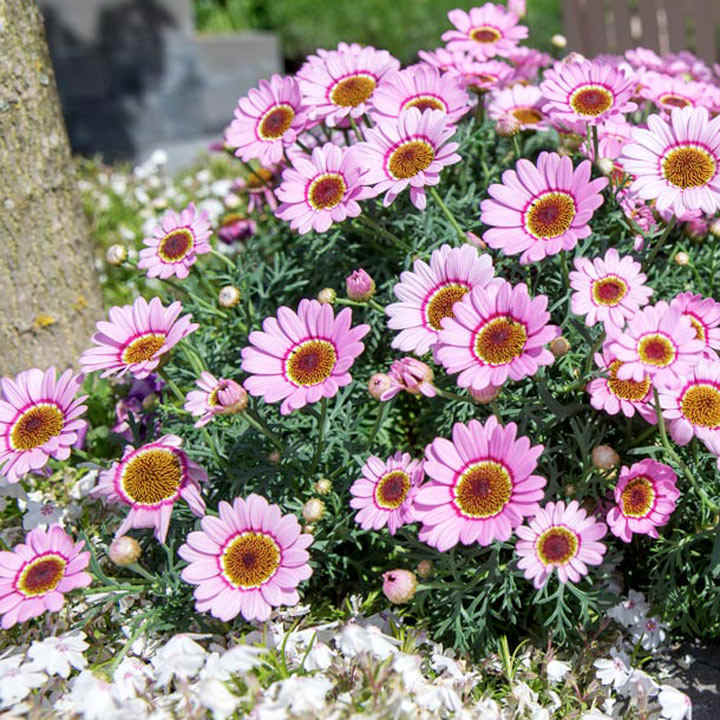 The Marguerite loves a sunny position in the garden and produces masses of pretty pink flowers.